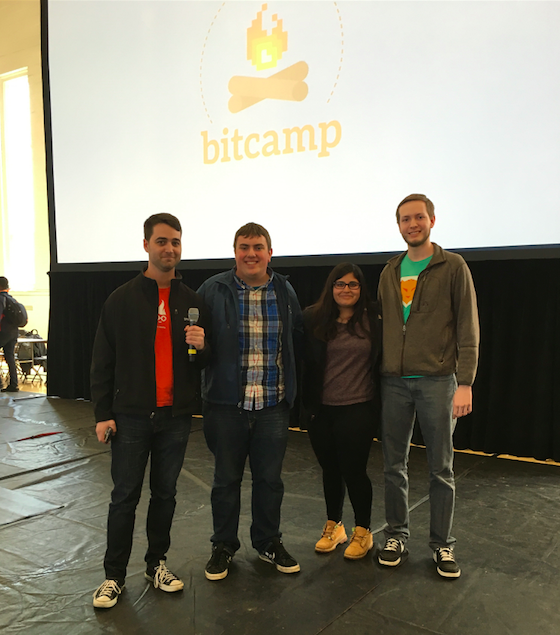 This last weekend we sponsored Bitcamp, held at the University of Maryland, and in my opinion, it was one of the best hackathons we’ve ever attended! Now would be the right time to disclose my bias: I was a Bitcamp organizer in college. So having my first experience on the other side of the sponsor booth be at my favorite hackathon, was truly special. It was also a significant event for our Developer Advocacy team. SparkPost has sponsored small to midsized hackathons in the past, but this was our first delve into the larger student-run events, and we came prepared! 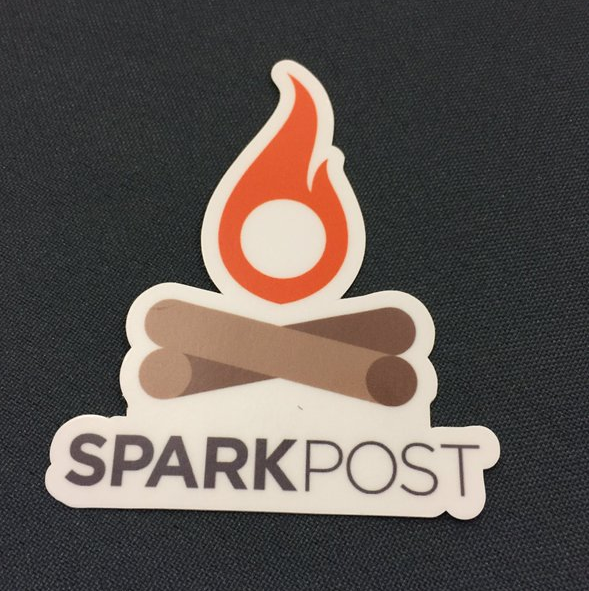 We started Friday night off by giving away tons of swag, including the limited-edition SparkPost Bitcamp stickers. These were such a hit with the hackers that we’re in the process of creating limited-edition stickers for other events! Come see us at one of our next events to get yourself one. On Saturday, we brought in a slushy machine and served Monster Energy slushies (there was a fruit punch flavor for those who had actually slept). Handing out swag and raffling off prizes is always a fun time, but what made the event really worthwhile was being able to help students with their projects. Throughout the weekend, we had six SparkPost engineers answering questions and mentoring hackers. Nothing took me back to hackathon participant times like debugging a node.js app at 3 AM on Friday night! We even got a shout-out from one of the hackers on Twitter. 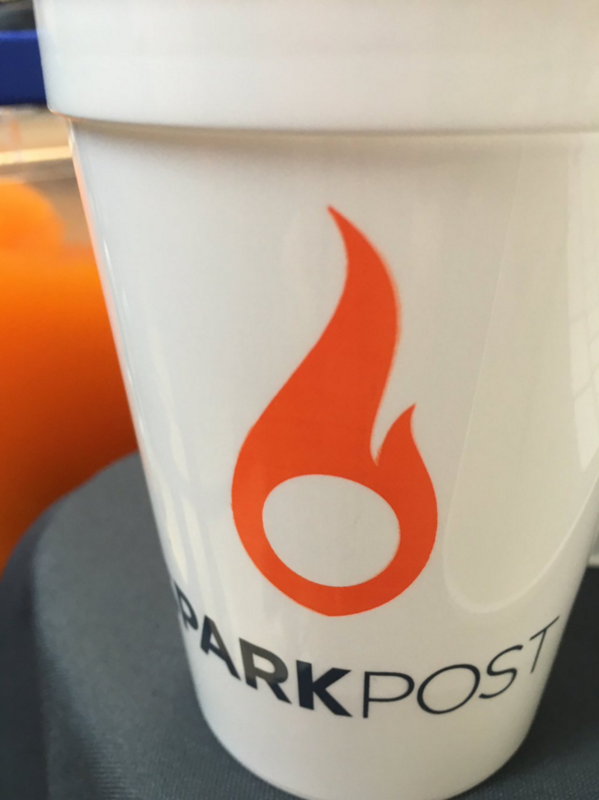 Whether hackers built their projects with SparkPost in mind or quickly incorporated, we got a lot of great submissions for our challenge. The deliberation was tough, but Piggy Pennies walked away as the winners of the SparkPost Challenge, with $500 in Visa gift cards. Piggy Pennies allows you to automatically round up the change of your purchases in order to save money towards a common goal with friends. The team leveraged the Capital One API (available only at hackathons) to process financial transactions, and used SparkPost Transmissions and Templates to deliver detailed updates and reports on the group’s goals. The team also implemented ways to trigger money transfers by replying to the reports using our Inbound Relay Webhooks. Piggy Pennies – The Winners! The rest of the challenge submissions were amazing too — 6 of them won major prizes from other sponsors as well. They were so cool we had to pick two honorable mentions to send to extra swag to. Contap took a new approach to the “tap phones to exchange info” concept, by automatically starting an email intro and implementing Amazon Echo Alexa reminders to contact the person. The second honorable mention was part of a surprising amount of hardware heavy submissions. Fireberry Pi used sensors and a RaspberryPi to send a warning text message including a picture of the room when gas levels were too high. This team was particularly crafty, figuring out how to use carrier email to sms gateways to send a text messages using SparkPost. Bitcamp’s theme this year was “Explore new grounds,” and I can confidently say the SparkPost team did just that. It was a great place to meet up with such a large number of developers at varying stages of experience and skill levels. We got really valuable feedback on our product and even met a participant who had recently published a SparkPost Cake-PHP Library!. Thank you to Bitcamp for putting together such a creative atmosphere. Thank you to all the hackers, we hope to see you again soon. Make sure to reach out to our team on Twitter or in our community Slack channel if you want to connect!